Come one; come all to see the amazing Cymbal Monkey! 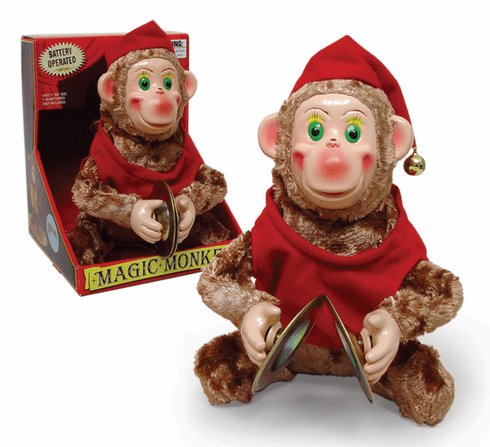 This circus style magic monkey is quite a little performer. Turn on this vintage-inspired, mechanical toy to watch the monkey clap his two cymbals together. He'll even do a special monkey dance and give out a squeaky chatter. How cute he'll look in your office with his classic grin and red jingle hat. This classic toy makes a great gift. Requires 2 AA batteries (not included).